Adobe Acrobat Training Calgary - Learn with the best! 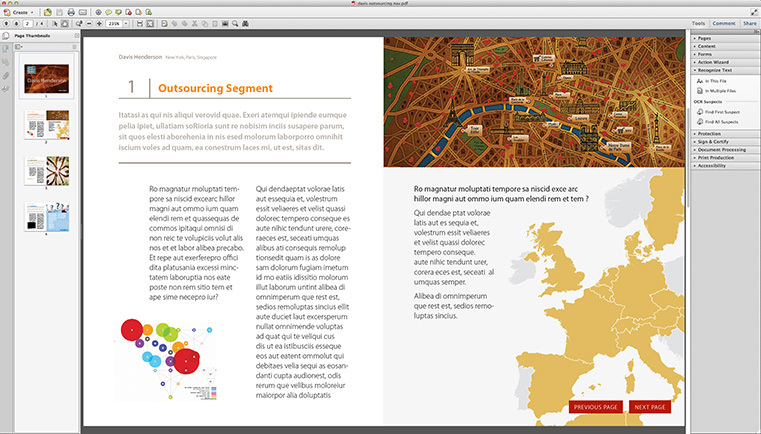 Acrobat is Adobe’s app for sharing documents, but it does so much more. Need security? Signatures? Want to distribute your comments or create an e-form? In this hands-on class, you’ll practice these and other useful features you can use back in the office. Our goal is to make sure your class meets your objectives, not ours. This outline is intended as a guide to provide structure for the workshop. Don’t be afraid to ask questions outside the box; our instructors are experts in the use of Acrobat at all levels and are prepared to answer your questions on the fly. Prerequisite: Acrobat Essentials or equivalent experience. Prerequisite: Students should have a solid understanding of the basics in Acrobat and either InDesign or Word. This class takes you through the process of creating accessible PDF files using Microsoft Word or Adobe InDesign plus Adobe Acrobat Professional. Multiple document types are covered – graphics, tables, text-based documents and forms. The course covers guidleines, useful tips, and current standards for compliance.